Meet marvelous Charlie. He was recently rescued along with Phoebe and Nugget (his Siamese sister and brother). They were stuck on top of a 2nd floor apart building...appears owners moved away and left them. Poor things had been scared, starving and cold until a compassionate neighbor asked us for help. Charlie is a cutie. He is very mellow and affectionate. He was recently neutered, vaccinated, dewormed and microchipped. He would make a great companion for another young cat. A donation of $125 goes toward his medical expenses and helps to allow us to continue saving more homeless cats. 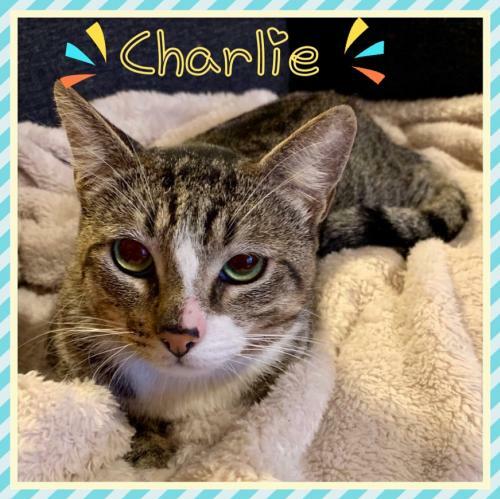 Please call lorraine at 562.544.0335 or email lbsn2006@yahoo.com if you are interested in meeting Charlie.